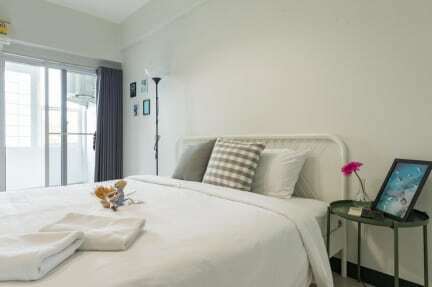 T Hostel (Bangkok) is located on the 6th floor of SN Apartment (elevator available) in a lively neighborhood at the heart of Rama 4 area and only a three-minute walk from Queen Sirikit Convention Center MRT station. Famous shopping centers like The Emporium, The EmQuartier and Terminal 21 are very near, as well as community malls namely K-Village, Nihonmachi (Japanese Mall) and A-Square. You can also leisurely stroll around the area by foot to many famous local restaurants. Our friendly staffs are more than happy to provide local recommendations and tips on getting around Bangkok, what to eat and where to shop, to ensure you have a pleasant stay.